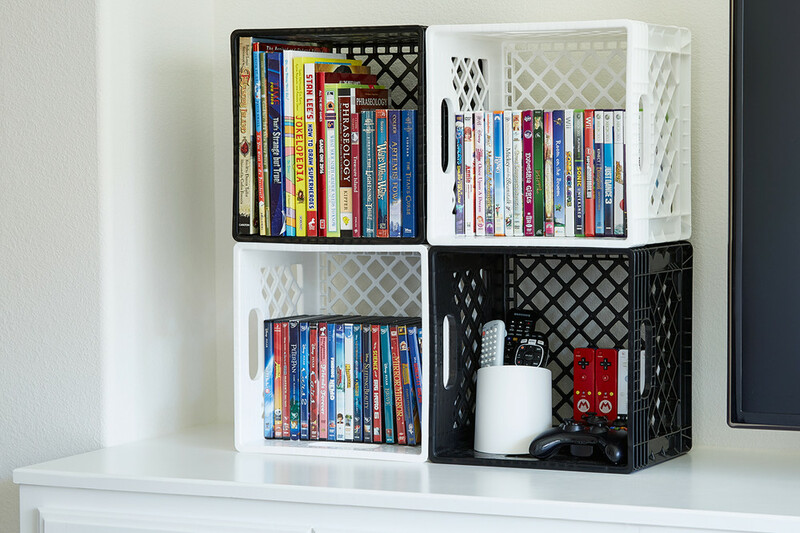 Customer Inspired Uses for Our Best-Selling Milk Crate! The classic Milk Crate is one of our most iconic products. We've carried it in our stores from the very beginning when our President and Chief Merchandising Officer, Sharon Tindell, thought that the famous design originally used to deliver milk might be good for more than just that. Milkmen often saw their crates taken and never returned, so we persuaded the original manufacturer of the milk crate to sell them to our stores, suggesting that if consumers could buy them, they might not have to resort to stealing them from grocery stores. Win win! Since then, it's been a best-seller in our stores and online as people came up with seemingly endless uses for the clever and secretly strong crate. Check out a few of our customer-inspired takes on our Authentic Milk Crate taken from our reviews, social posts and tips, below! Looking to display memorabilia in a more modern way than behind a glass cube? This idea for our Authentic Milk Crates could be your next great idea, too. 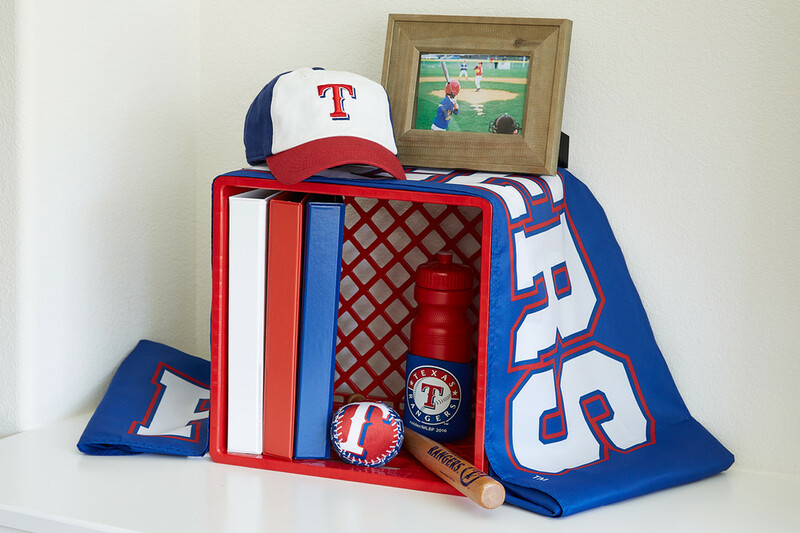 Use the crate as a display cube for memories from baseball games, concerts, dance recitals and more. It's perfect in a kid's room and a great way for both parent and kid to work on a fun and easy project together. Turn the classic milk crate idea on its head, or side rather, to create open and accessible storage that also works to display. Store books, DVD's, gadgets and more on any countertop or shelving, and play up the color contrast by mixing and matching the hues. The exceptionally strong, high-density polyethylene construction makes these crates perfect for stacking vertically and horizontally. Things tend to stay in the back of the trunk once they're placed in the back of the trunk. It's a dark cavern of open space and it's very easy to shove things back there, only to remember them when you take a hard right and hear the rolling. 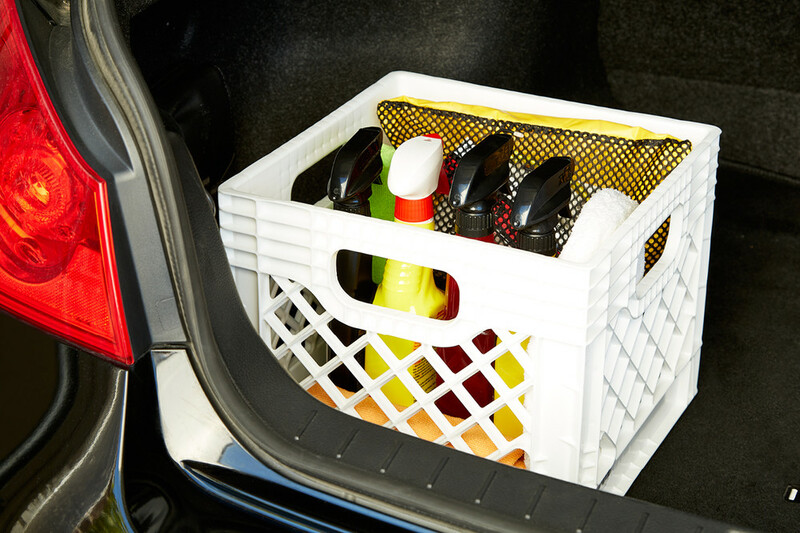 Make it easier on yourself by corralling all your car cleaning and car emergency needs in one crate. The size will help to (mostly) prevent items from toppling to the side no matter how hard your turns are, and the handles make it easy to take in and out of the car. 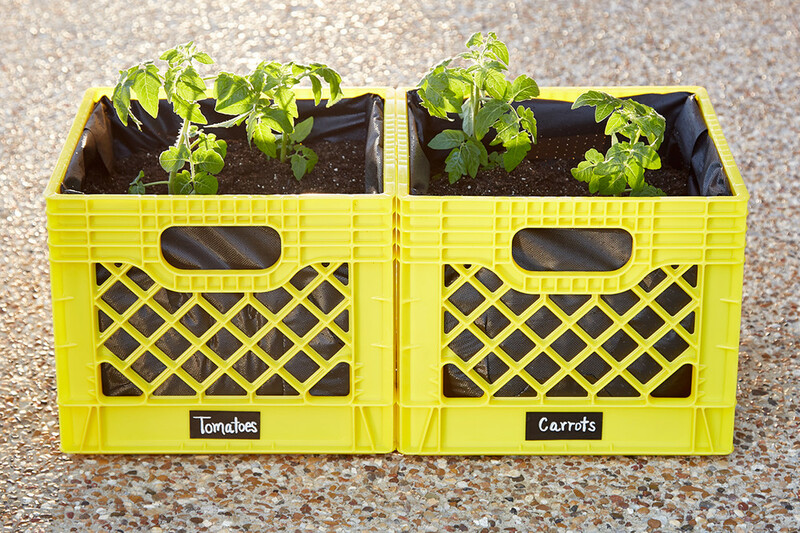 Our Authentic Milk Crates work wonders if you're looking to go greener, too. By lining the interior with a porous weed stopper material and filling each crate with rich dirt, it becomes the perfect small ecosystem to start growing herbs and veggies. We added our Rectangular Chalkboard Labels and used our Fine Tip Chalk Markers to ensure that you can always clearly identify your plants! 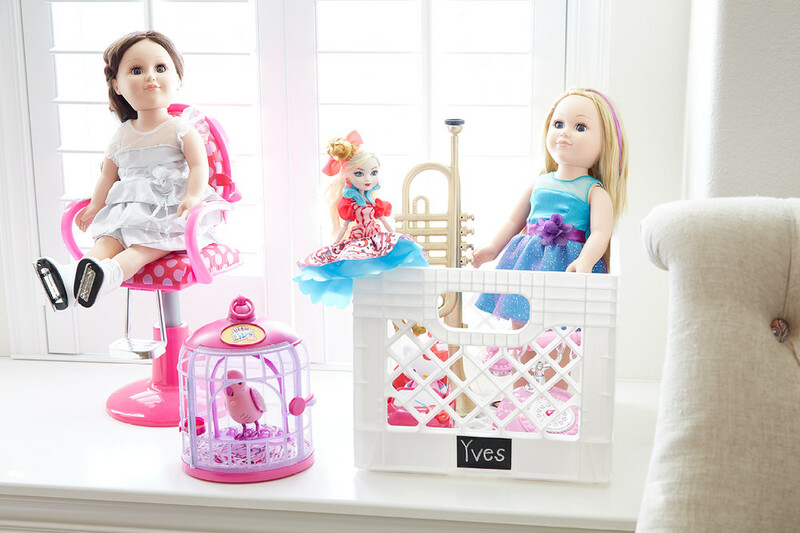 Ensure that toys stay with their rightful owners and prevent any "where is my _____ ?" breakdowns with this cute idea for our Authentic Milk Crates inspired by mom Michelle A. from Dallas. She uses them as a system to help her kids remember where to put each toy, game and book when playtime is over. Using our Chalkboard Labels and Fine Tip Chalk Markers, she clearly labeled each milk crate for what needed to be stored. Whether organizing toys, books or board games, it's an easy way for the kids to help with the cleanup! Problem solved, for now. 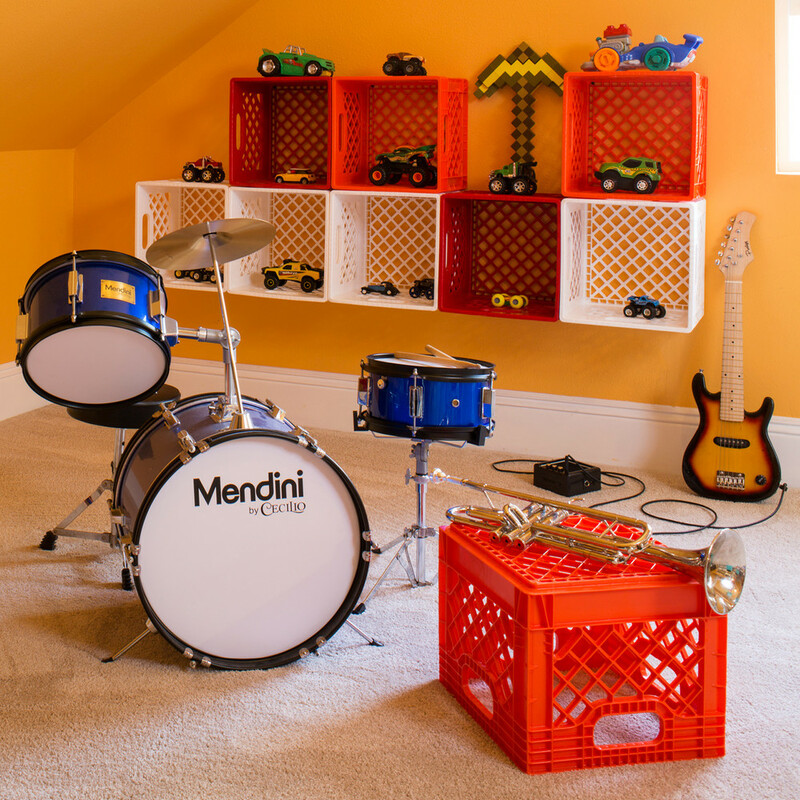 Last year, we followed Angela and David, and their two young sons, Max and Daniel, as they transformed their upstairs bedroom/playroom into a kid oasis. 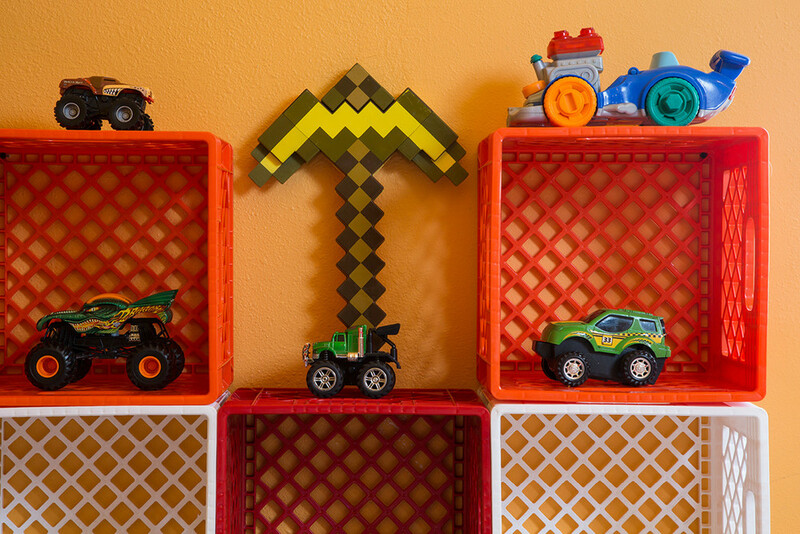 They took the idea of the Authentic Milk Crate to the next level by installing them on the wall in the boys' playroom, which created both clever storage and awesome display for their kiddos. With a few screws and a drill, you too can make this semi-permanent update to any wall. Thanks so much to all of our fabulous customers and fans for constantly inspiring us. We absolutely love all of your innovative uses of our products, keep the ideas coming!